Tesla opened the road for many electric car manufacturers which gave them a shot to take on the giant. So far Tesla has been quite successful despite their cars not being perfect. The main reason for their success was the fact that there were no competitors around. 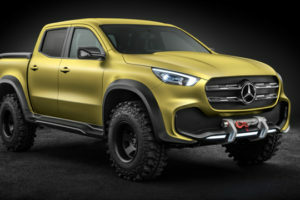 Now that Audi, Porsche and a few other manufacturers will join the battle, things will more than likely change. Between these few other manufacturers there is also Lucid, a battery-development company in the US which was bought by Chinese investors a while ago. They plan on opening a factory in Nevada and get on the market cars that will directly compete with Tesla. The first is the 2018 Lucid Air which was showcased only a few days ago as a production ready concept. Lucid did not provide much about the specifics of the car but they did say a few interesting things about it. 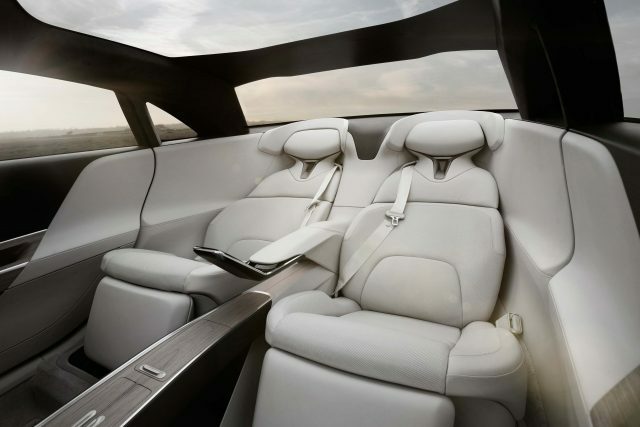 For starters, it is going to compete with Tesla at prices between $65,000 and up to $160,000. This would allow them to cover an extensive part of the market and likely offer a complete experience for their customers. So far Lucid opened up the pre-orders for the car. 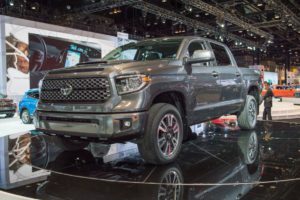 A Standard edition model will need a $2,500 deposit while the Launch Edition model will need $25,500 in deposits. 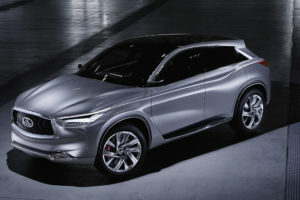 The latter is the $160,000 model which is only going to be made in 255 units. 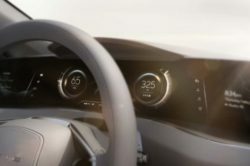 It will feature unique badges, a few unique interior features as well as likely unique color schemes. After the 255 units are going to be built Lucid will carry on and release the Standard edition cars which are set to cost at roughly $65,000. Even if the 2018 Lucid Aid may seem massive from the pictures the company released so far, the car is not as big as some would think. 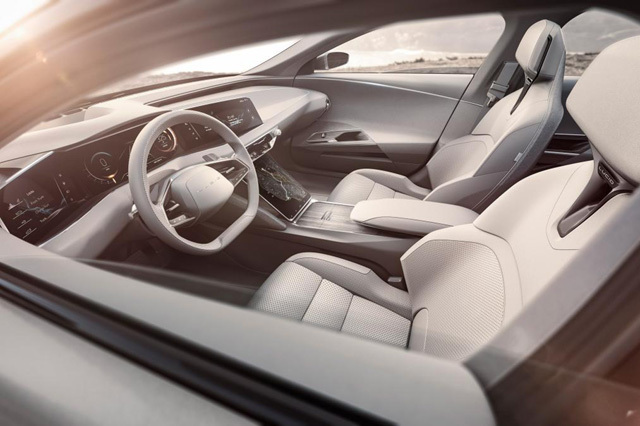 It is narrower, shorter and it has a lower height than its main competitor, the Model S. Despite all of that, it is expected to feature more interior space than its competitor thanks to a really clever interior layout. 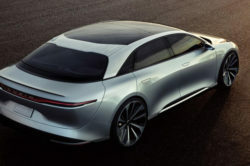 Unlike the Tesla, the car is unlikely going to receive a front trunk mainly because it is expected to house here some of the electronics and cooling radiators for the electric system. Inside the cabin the Air is going to feature, at least the concept, four seats. A five seats model is more than likely at this point. The rear seats seem to benefit from the same amount of room as those in a Mercedes S Class. 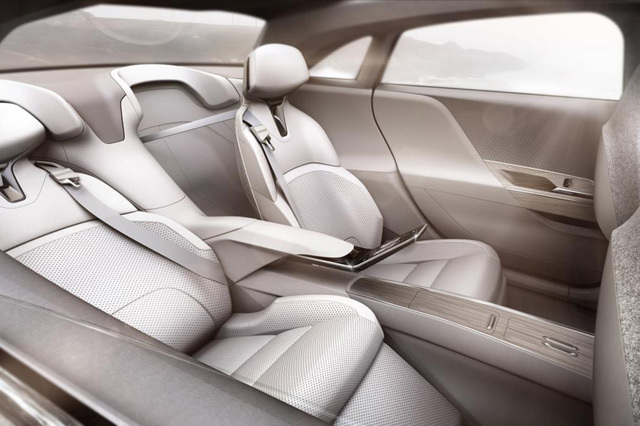 These can recline and move about in order to provide the best possible experience for the rear passengers. Those in the front have not been forgotten either. The driver benefits from three large screens which offer different information about the car. 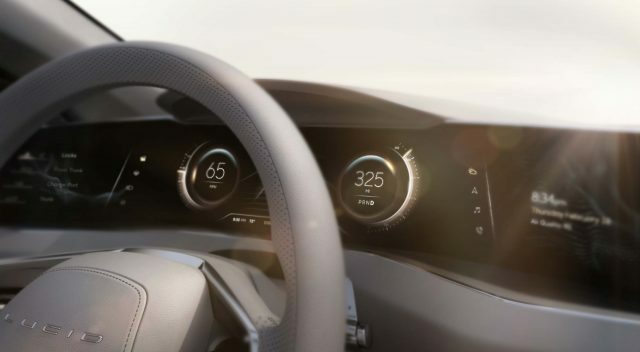 The two on the center stack act as both a control center and as an infotainment system. Even if the car is basically the same as the Model S in terms of specs, it seems vastly different here which are great news. 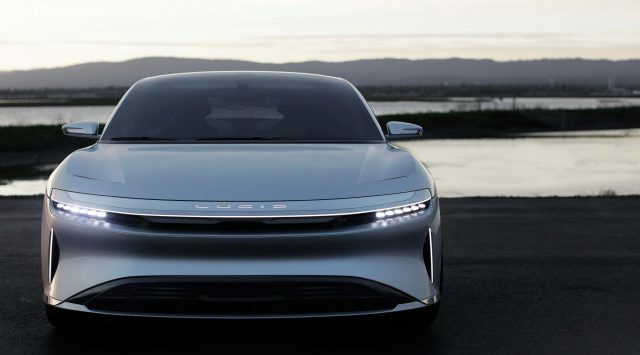 Even if the company did not do anything like this in the past, the 2018 Lucid Air is an amazing looking car. Despite being smaller than its rival, thanks to the proportions they used, the car seems to be a lot larger and imposing than it really is. The front end has a unique look with hidden headlights and horizontal lines which make it stand out. 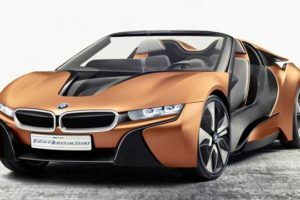 The roof includes the windshield and it is made from a single piece of curved glass. There are four regular doors in a coupe-like shape with the rear end being more similar to that of a hatchback. So far it seems that the trunk will open quite wide in order to facilitate the access to it. 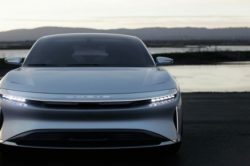 So far it seems that the 2018 Lucid Air will come in two versions. There will be a base 100 kWh battery-pack and a 130 kWh unit. 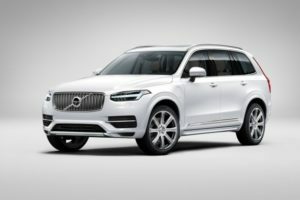 The latter will provide up to 400 miles of all electric range. The car will feature two engines, one in the front and one at the back, both of them having their own transmission. There is still no information available about a fast charging system. 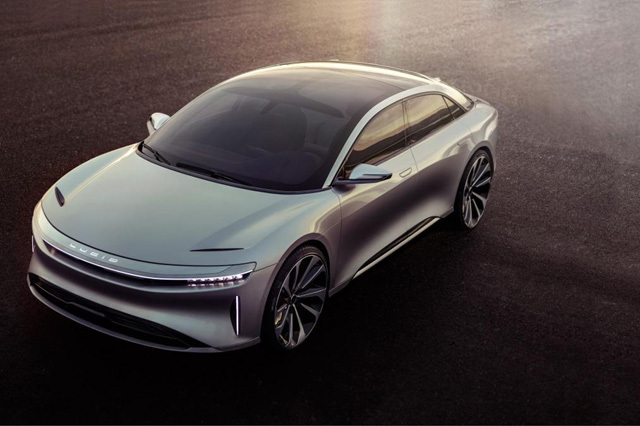 However, considering how large the battery is, we are quite sure Lucid is going to offer some sort of system for the owner in order to charge the car in a reasonable amount of time.